Opened in 2016, The Ancaster Sports Centre (ASC) has already developed a reputation as a community athletic hub for indoor sports and recreation in Hamilton. 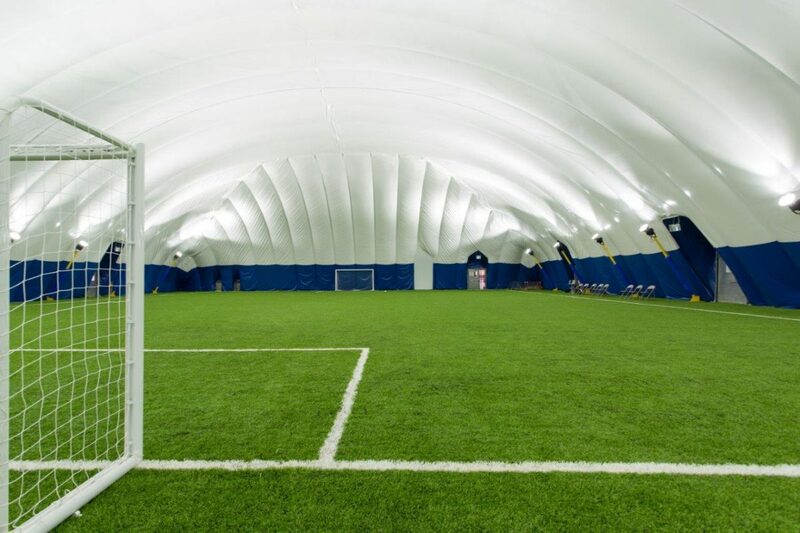 ASC is home to two state-of-the-art artificial turf indoor soccer fields, which provide modular and scalable opportunities for sporting and general athletic activities. Currently on the docket are intramural leagues, youth development academies, and multi-sport camps focused around soccer, as well as adding flag football, baseball, lacrosse, and field hockey offerings. By spring 2017, ASC will expand by opening its permanent brick and mortar structure, offering the public a wide range of amenities including: squash, golf, volleyball (outdoor), fitness centre, runners den, and a LLBO licensed restaurant/social area. We at ASC are continuously striving to create a quality space for the community’s sporting and social needs. We welcome all ages, from toddlers to seniors, and all abilities, from rank amateur to seasoned veteran. With your support, ASC can continue to develop its mission to provide an exceptional space for the community to be active and engaged. Please contact us for sponsorship opportunities and see how a partnership with the Ancaster Sports Centre can work for you.